Join The Women’s Foundation of Colorado Northern Colorado regional committee and a panel of local leaders for an opportunity to learn how to effectively advocate for the policies and issues that matter most to you and your community. You’ll leave feeling empowered and encouraged to interact more effectively and productively with the political system from the local to the state level. 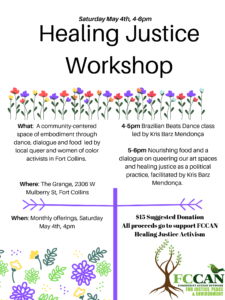 Check-in from 5:30 – 6:00 p.m., event from 6:00 – 8:00 p.m.
At this free community event, you will get an overview of our political structures, receive expert training on advocacy techniques, access materials to support your activism, and build community connections. We hope to see you for this informative and energizing evening of shared learning. Food and beverages provided. For more information or to request accommodations, please contact Kelly Robenhagen, statewide events and development manager, at kellyr@wfco.org.